ProMediate is proud to be a member of the Greater Manchester Chamber of Commerce and as a mediation provider we communicate, connect with businesses and customers and can help create bridges and solutions to problems. 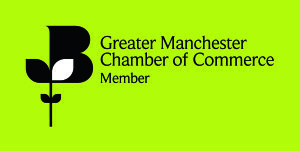 We are partnering to create a new service for members of the Chamber, the GMCC Dispute Management Service, which will offer the whole range of dispute resolution services to businesses including consumer complaints resolution under the ADR Directive, business to business disputes and workplace employment disputes. The beauty of mediation is that it is voluntary and gives back control of any dispute to the parties themselves rather than transferring that control to an inflexible Court system. It also allows for the possibility of preserving business and customer relationships whereas litigation can increase divisions and entrench parties’ positions. We can also advise on dispute avoidance to include dispute resolution clauses for contracts and linking to the EU Platform for consumers as well as risk management and mediation training. The service will be confidential, convenient and cost effective.